We’ve been all about family time this year. See, we recently welcomed our second child, and it was important to us to make sure that our older daughter didn't feel left out during my pregnancy or once the baby came home. We recently purchased a home with a beautiful yard, so we've been enjoying our new space together. We take walks together almost every evening, to explore our surroundings. We also add new books to our big kid's collection pretty regularly to help her learn how to read on her own, and to give us fresh material when we read together before bed (reading the same stuff over and over again gets so boring, am I right?!). We spend hours and hours coloring together, too. In the spirit of new beginnings, however, I've been encouraging my girl to try things she’s never done before. I mean, walking and reading and coloring are all wonderful ways to spend time – but, to help her stretch her imagination, she needs to do something a little different. So, I’ve been adding unique activities for us to do together every week. Instead of coloring on paper, for example, we've been coloring rocks. Rather than eating indoors, we've been cooking dinner outdoors, over an open fire. And more! 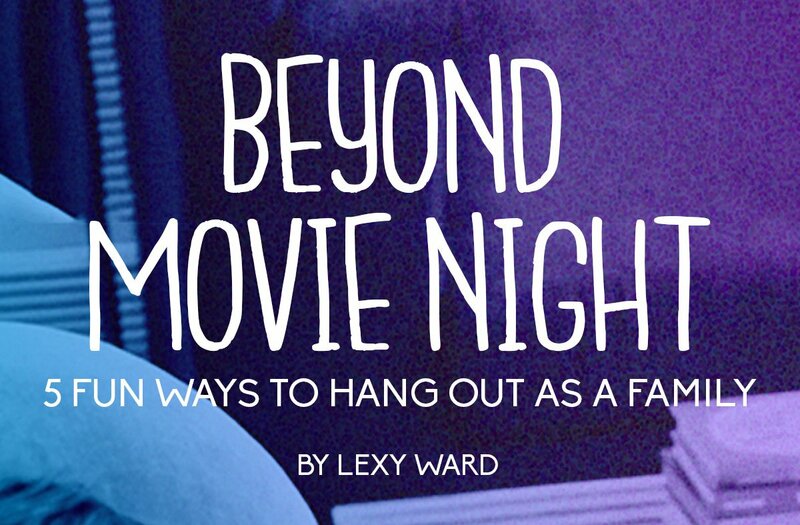 Keep reading for all the exciting ways we've been connecting as a family -- and try out a thing or two on our list. 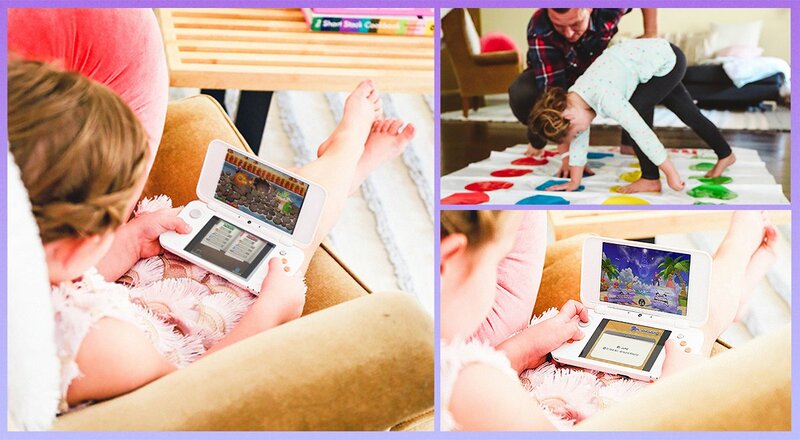 If your kid is into electronics -- and let's be honest, what kid isn't? 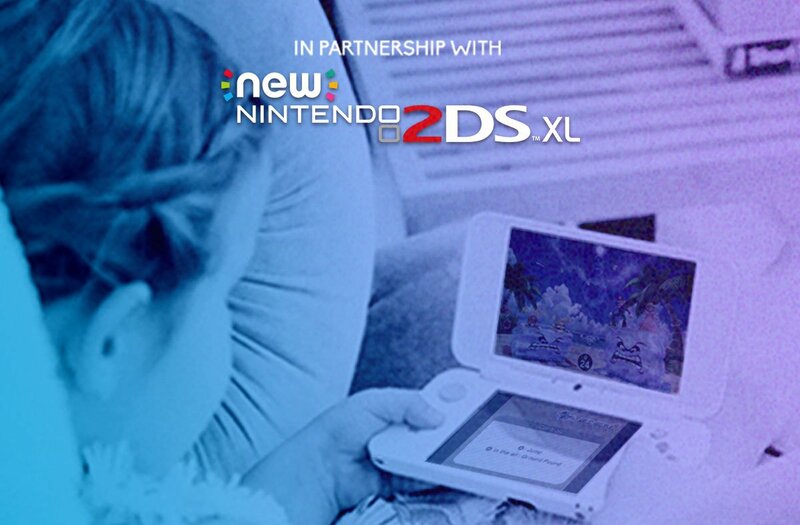 -- Nintendo is the way to go. 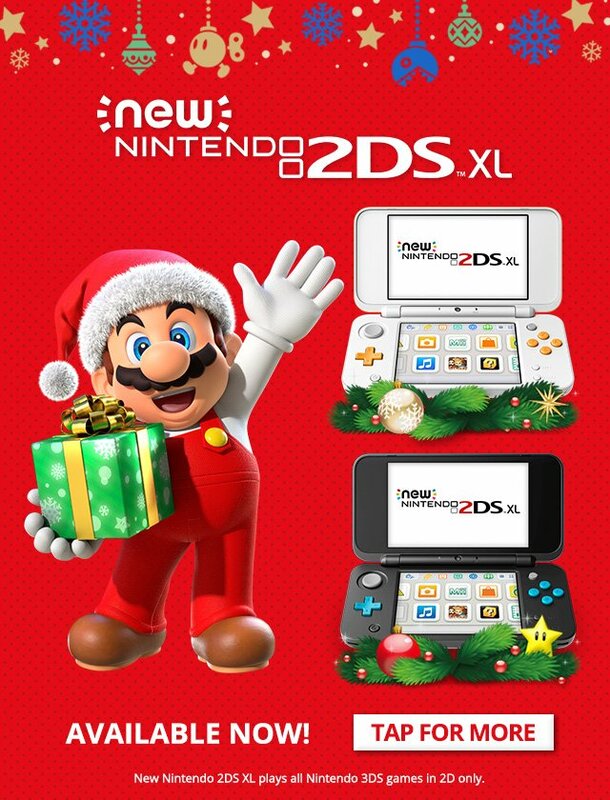 We love the New Nintendo 2DS XL system, as well as the games Mario & Luigi: Superstar Saga + Bowser’s Minions and Mario Party: The Top 100! You guys, this stuff is awesome. I had hours of fun playing Super NES as a kid, and I get a kick out of watching my daughter enjoying the antics of Mario, Luigi, and Princess Peach just as I did. Another one of our family favorites is Twister. My daughter is much more flexible than my husband is, and she always giggles with delight when she outplays him. Yes, squash bowling. I come from a large family and every autumn, we’d get together with my cousins for a squash bowling tournament. 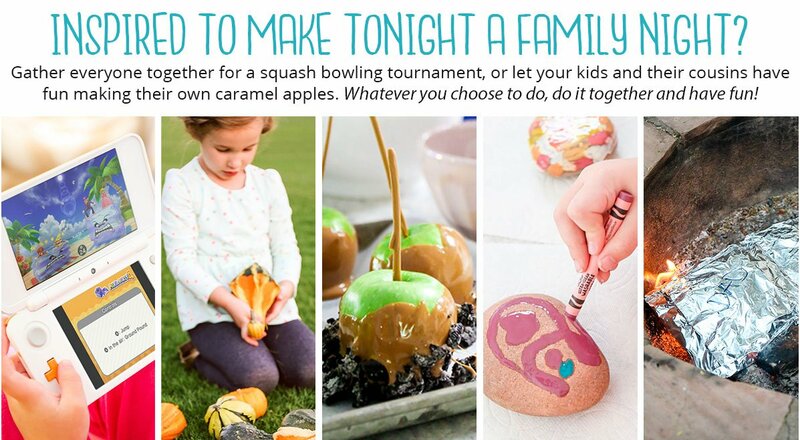 It’s like regular bowling, only you use cute gourds instead of traditional pins and mini pumpkins in place of balls. I've started this tradition with my own family, and it's a total blast. 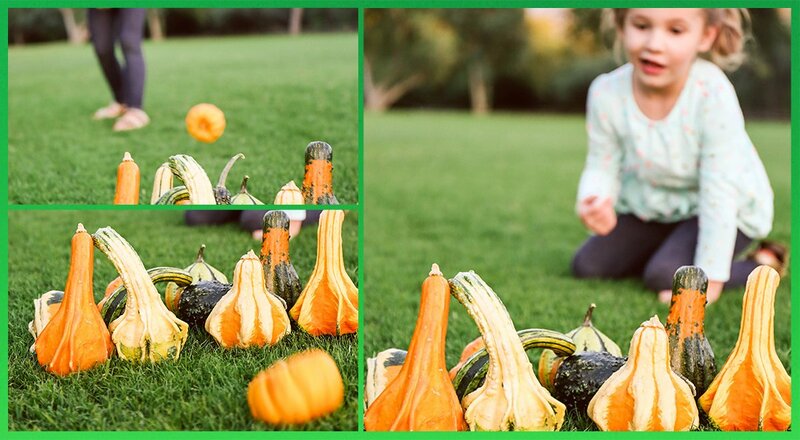 After we've hit up the market for our supplies -- you need 10 gourds per “lane” and a few extra to replace any casualties, as well as a few pumpkins for balls -- we head home or to the park and set up our “pins” in the grass. Then we take turns trying to get a strike. And yes, Mama’s still got it! This one is a no-brainer, since we love dessert. 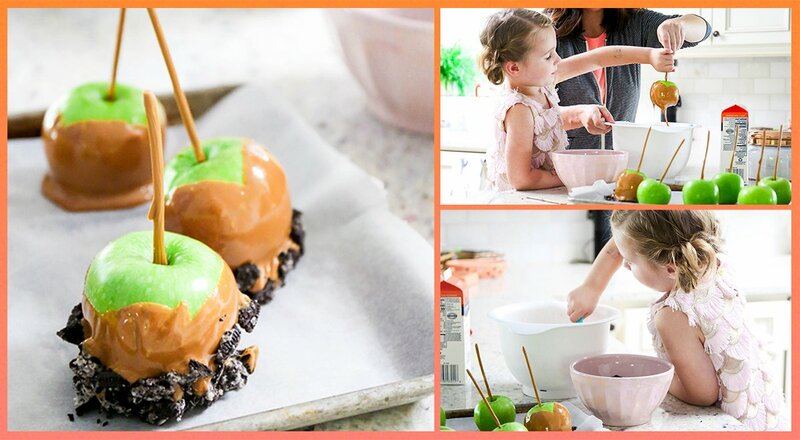 My daughter’s favorite treats to help me make right now: Caramel-dipped apples. To whip up your own, follow these instructions: In a microwave-safe bowl, add a bag of unwrapped caramels, and 1/4 cup of cream. Heat in the microwave for 30-second intervals until the caramel is completely melted and smooth. Place sticks in the center of each apple and dip them right into the caramel. Once the apples are coated in caramel, put them on a parchment-lined cookie sheet to set. Add your favorite toppings (think crushed cookies, sprinkles, or melted chocolate). When the apples are cool, slice them or enjoy right off the stick! They make great paperweights or toys, but here’s the thing: There’s an online fad catching on that’s even more fun. Once the rocks are decorated, you hide them around your neighborhood for other families to find. The person who discovers the gems then hides them for someone else to unearth. Cool, right? We color heated rocks with crayons, to make glossy creations. To create your own, gather smooth rocks and heat them in the oven for 15 minutes, at 300 degrees Fahrenheit. Remove them from the oven and place the rocks on a paper towel. 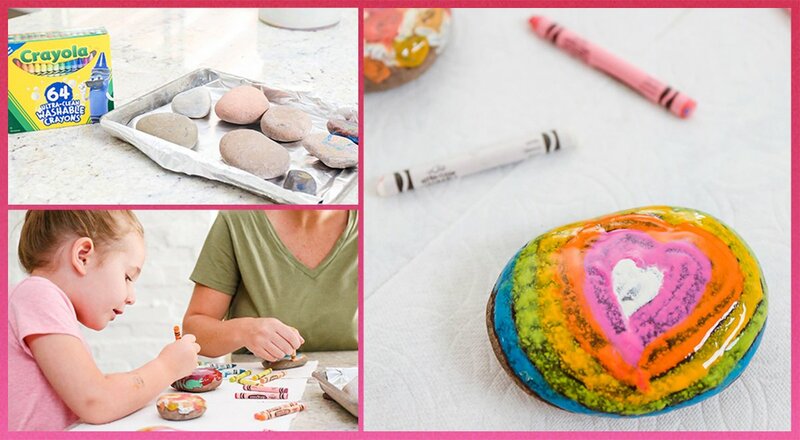 Add fun designs with crayons -- just be careful not to touch the rocks with your fingers. The crayon wax melts when coming into contact with the hot rock, creating an original piece of art. Once the rocks have cooled, hit the road to find some creative hiding spots! 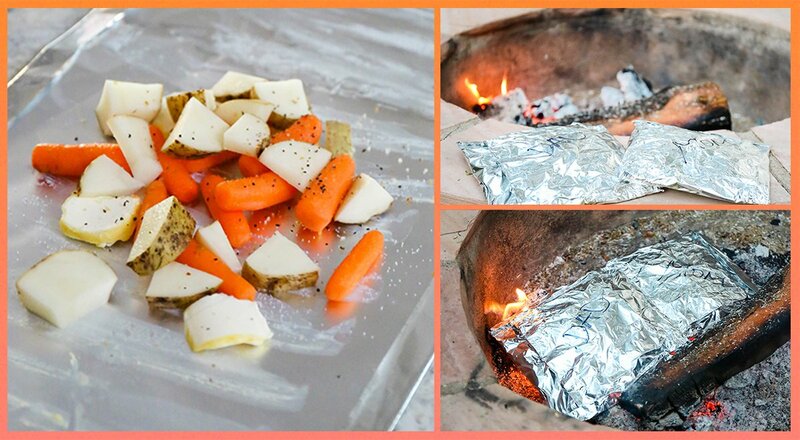 For something different, I love to cook tinfoil dinners in our fire pit. To make your own, place chopped veggies like carrots, russet potatoes, and yellow onions on a double layer of tinfoil. Top with your choice of meat. (We use packaged stew meat to cut down on prep work.) Sprinkle with a little salt and pepper, and then spread 1/3 can of cream of mushroom soup over the top. Wrap everything up in more foil and label everyone’s dinner with a permanent marker. They’re easily customized so kids can build their own. Cook the packets over a fire, on the grill, or in the oven at 350 degrees Fahrenheit for about 30 minutes. Once finished, enjoy!